What do you know about monsters? Do you know any monsters in books or on TV? Do monsters scare you? Can monsters be something else that’s scary, like a new place, or a new kind of food? What can we do to try and be brave and not be afraid? Let’s try a few methods like in the book; example, taking deep breaths, flicking or fanning away yucky thoughts, or giving yourself a hug or a shake. 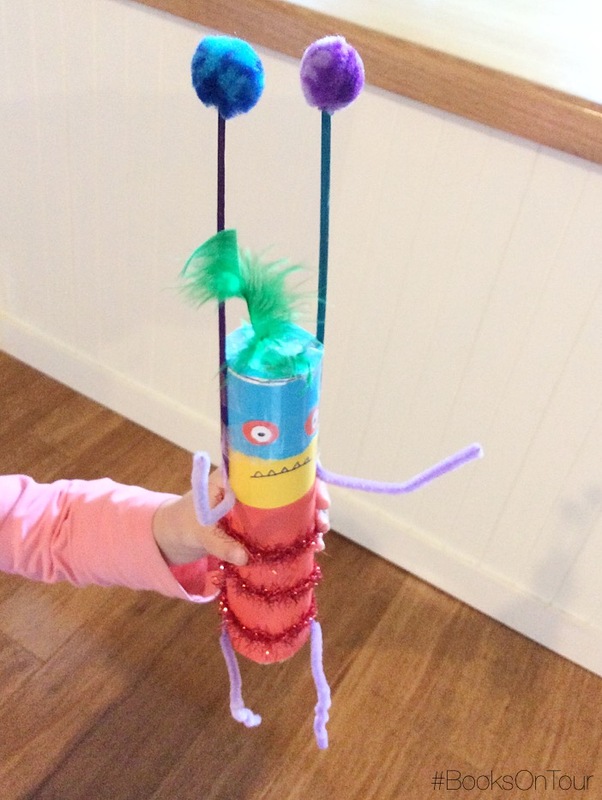 This rattling Monster Shaker will certainly scare away all those scary monsters! Learning Outcome 4: Children are confident and involved learners. Learning Outcome 5: Children are effective communicators. Craft materials for decorating, such as Pom poms, chenille sticks, feathers, ribbon, textas, etc. 1. Trace and cut out two circles from construction paper to fit the ends of the tube. Cover one end with a circle. 2. 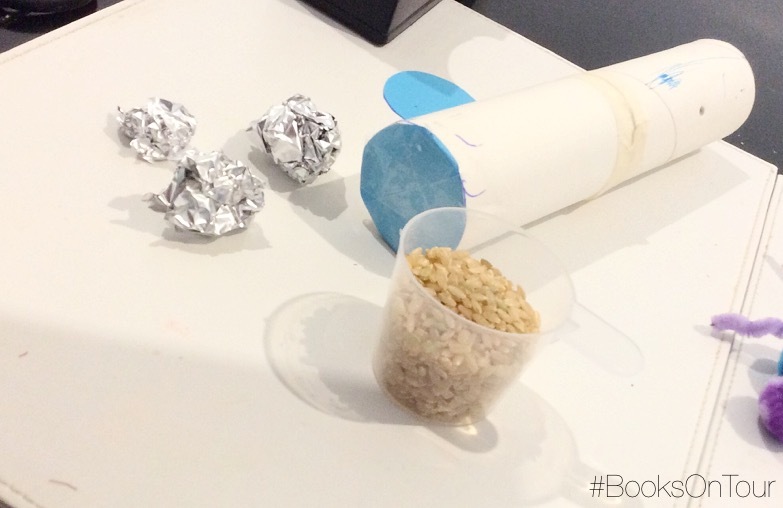 Cut strips of foil and crumble them into small balls. Place them and the rice in the tube. 3. Cover the other end of the tube with the other circle. Make sure the ends are completely shut. 4. Using your coloured paper and craft materials decorate to make your favourite monster. 5. Shake your monster up and down, over and under! Now you have a monster shaker! Download your printable Monster Shaker instructions. 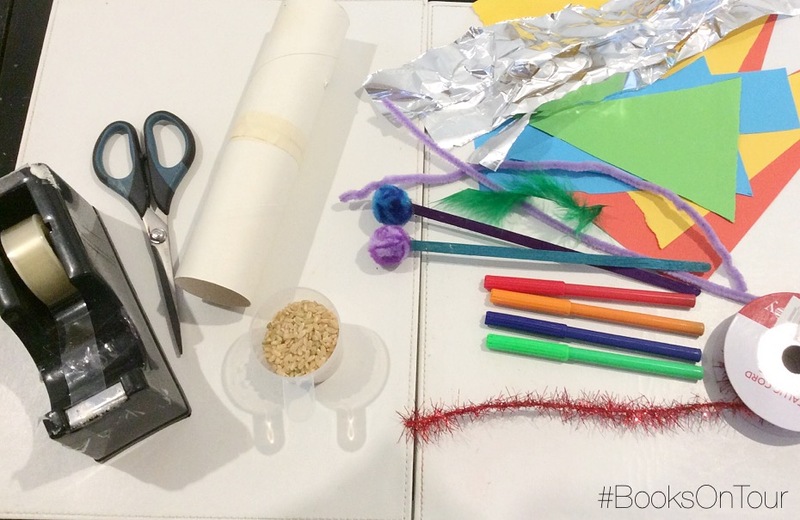 For more craft and educational activities please visit our The Scared Book Pinterest board. ALSO! Draw and/or make your own monster to go in the draw to WIN a signed copy of the book PLUS an author visit from Debra Tidball to a Sydney-based classroom of your choice! For more information please head to Debra’s website. This is great stuff – love craft! This is right up your alley, Anne! Love this idea! We have the book for review so might start creating! Ooohhh! Lots of fun to be had! Romi has fabulous creative ideas! Another great idea from the talented Romi. We made monsters this week in maths…after all this monster talk.